Dr. Landau has been happy to call North Carolina his home since 1993. 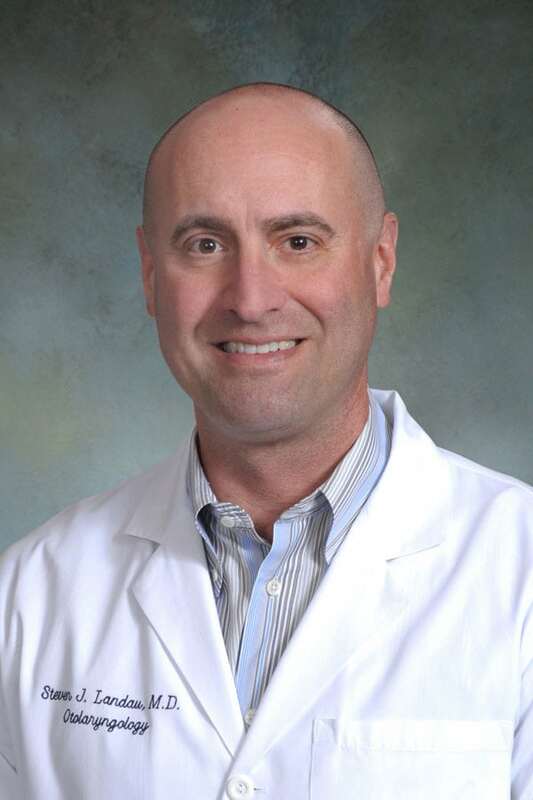 He completed his Otolaryngology training at Wake Forest University / Baptist Medical Center in 1998. Between 1998 – 2005, he practiced in Martinsville, Virginia. When the opportunity to return to North Carolina arose, he joined Piedmont HealthCare in 2005. Although he loves his Otolaryngology practice, his family is his top priority. He has been married to his wife / best friend since 1996 and has 2 wonderful daughters. Dr. Landau practices general Otolaryngology with Piedmont HealthCare. His goal i.s to provide quality and compassionate care of his patient’s Ear, Nose, and Throat problems. He enjoys treating both adult and pediatric patients. His practice covers a broad range of medical and surgical problems including sinus disease, allergy, diseases of the ears, nasal obstruction, tonsil/adenoid problems, voice problems, and removal and reconstruction of skin cancers of the face, head, and neck. His office provides complete audiology services including hearing testing, hearing aids and testing of vestibular (dizzy) disorders.